Social media is an important asset to your company’s overall Inbound Marketing strategy. Businesses who commit to using social media as a marketing tool find that posting valuable content is helpful in almost every stage of your ideal customer’s buyer’s journey and can help you generate new leads, convert and close customers, and delight your customers once they have completed their purchase. 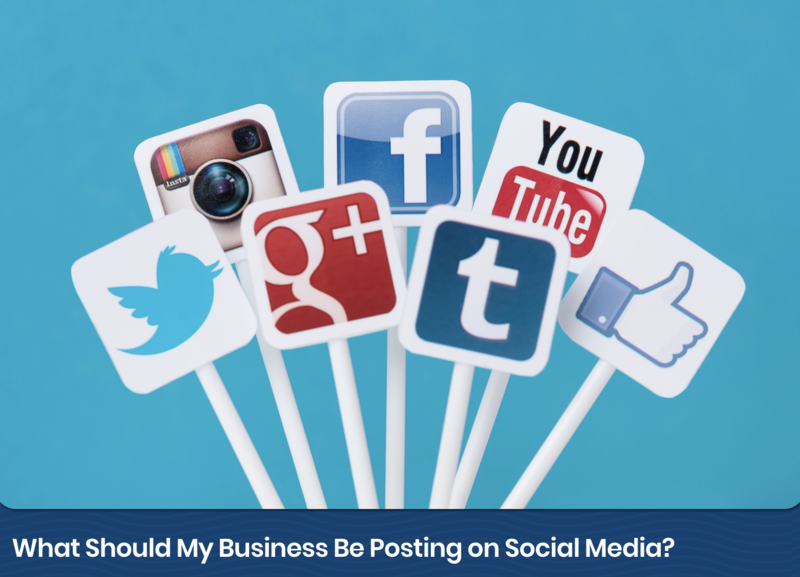 So, how do you start using social media as a part of your company’s marketing strategy? Social media not only helps generate new customers and leads for your business, but it also plays a large role in cultivating a positive online reputation as well as serving as a customer service tool. The best way to get started with your social media development is to create a buyer persona to determine your ideal customer. You can then begin to develop your social accounts and the content needed to accomplish your marketing goals. After you have developed your buyer persona, you can then begin to choose which social networks you are going to focus on in your marketing campaign. However, it can be difficult to choose which network will work best for you and your business. How do you know which network your customers frequently visit? Which network will provide the highest return for your business? 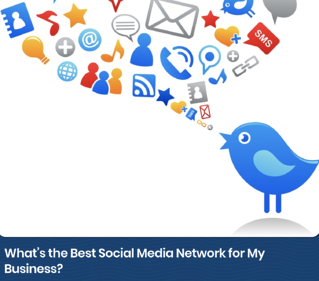 These are all questions that must be answered to find the perfect network or networks for your company. Learn how to determine which social networks will work best for your marketing goals here. Facebook is one network we recommend every business has a presence on. Even if it is not necessarily the best network for your ideal customer, it is still important to have an account on the network and update your content. Facebook allows your business to create highly targeted audiences for ads and posts so it is ideal for businesses who are looking to generate more interest in their company or a larger social following. Read more on choosing Facebook as your first social media network here. What Other Accounts Do I Need? After you have created your first social account, you may think you’re okay for now. However, we recommend that you create a presence on all major social networks, even if you have determined that only a few will work with your buyer persona. This is because in today’s world, one of the first places people go to learn more about a business is on their social accounts. Although you may choose to focus your marketing strategy on a few particular accounts, you should be present and active on all major accounts to see the benefits of social media. 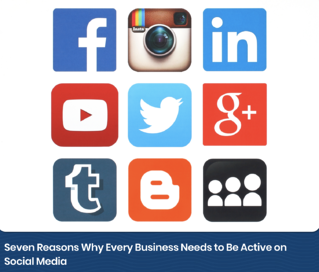 We have a list of seven reasons why every business should be active on social media here. Once you’ve created your social accounts, you will need to develop a following and an audience on each of these accounts. However, developing these audiences can take time and effort. It may seem frustrating waiting to get the “correct” number of followers or likes. One suggestion to gain more page followers is to run a contest. Contests are a great way to incentivize current contacts or social media users to like your page. Once you have gained more likes, you can use these contacts to create audiences and lookalike audiences for ads or marketing. 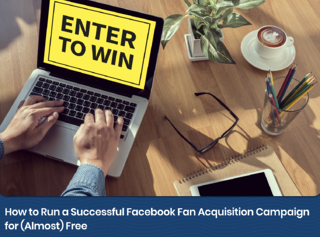 Read our case study on running a Facebook contest with the goal of gaining more followers here. How Do I Keep My Followers Engaged With My Page? After you have developed a following on your social media accounts, you want to keep them interested in your page and your content. The more engaged your followers are, the more of your posts and content they will see. It is valuable to both you and them to keep them updated with relevant and consistent content. So, how do you create this content that will continue to keep your followers engaged? You need to go back to your ideal customer and buyer persona to develop content that will reach followers at every stage of their buyer’s journey. Each post should have a goal for reaching your followers at a certain stage of their journey. Remember, your followers are not all at the same stage in their journey, so post a variety of content that will reach all followers - not just some. Learn how to create social content that is relevant and engaging here. How Can I Get More People to See My Posts? One of the most confusing things about social media is the amount of people your posts reach. This is why it is important to create content that your followers will want to engage with. The more people who engage with your posts, the more people will see them. It is also important to create content that is relevant to the people you want to see the posts. If your content is not relevant to their interests, they will not see it. 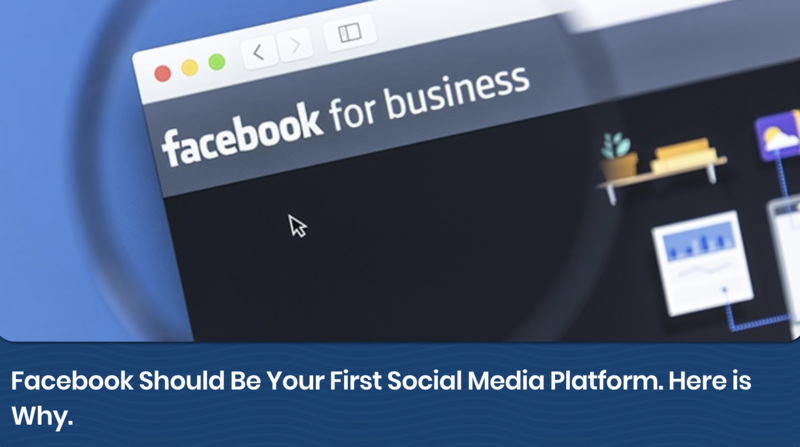 However, once you have developed enough content and have a solid social media strategy, you can begin to use boosted or paid posts to extend your reach. Each of these posts must have a goal to reach a certain audience, but if you create these correctly, you will be able to extend your reach and grow your following and traffic. 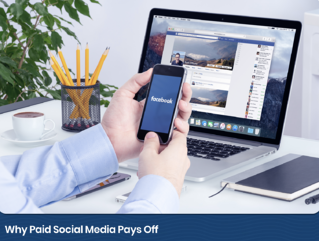 Learn more about using paid social posts here. Often times, when people talk about social media metrics, they use terms like impressions and engagement. These terms tell you how many people saw your post and how many of those people interacted with it. While these terms are great to let you know if you are posting engaging content, they don’t give you a dollar amount on your time spent. To truly see the results from your social media efforts, you must measure things like traffic, conversions from social, and customers gained. These metrics will be able to tell you how much your return is on your social marketing much more than reach and impressions. 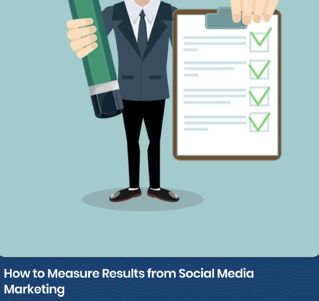 Learn how to measure the results of your social media marketing here. As you can see, social media is an important tool that can be used in every stage of the Inbound Marketing methodology. The key to running a successful social media marketing campaign is to determine who your ideal customers is, what they are looking for at each stage, and where they “hang out” online. Once you figure this out, you can create goals and content for your social media marketing campaigns as a part of an overall Inbound Marketing strategy.